Watch Graham's review on this high school match. no hay traduccion, y no se puede aprivechar realmente!!!! por favor traduccion ya!!!! Refreshingly frank. If I’d been those boys, I’d have been made up to have that level of post-match analysis. Spot on. Graham Henry’s review just reinforces that Rugby is a simple game, do the basics well and execute well, by creating opportunities, making good decisions will improve your game and this will bring results. Excellent review by the Head Master. cuando van a traducir los videos!! 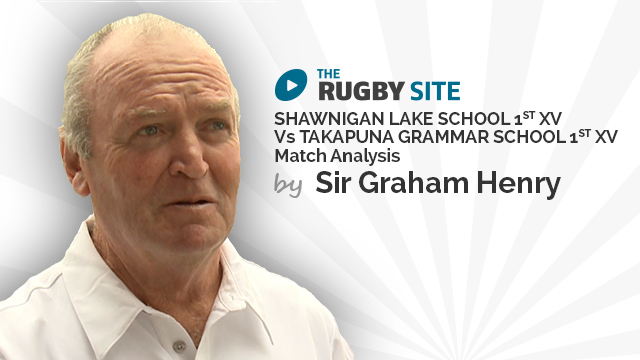 Another great video from Sir Graham analysing schools rugby at a school I coached at in the early 90’s. Good memories. Keep up the great work Rugby Site.